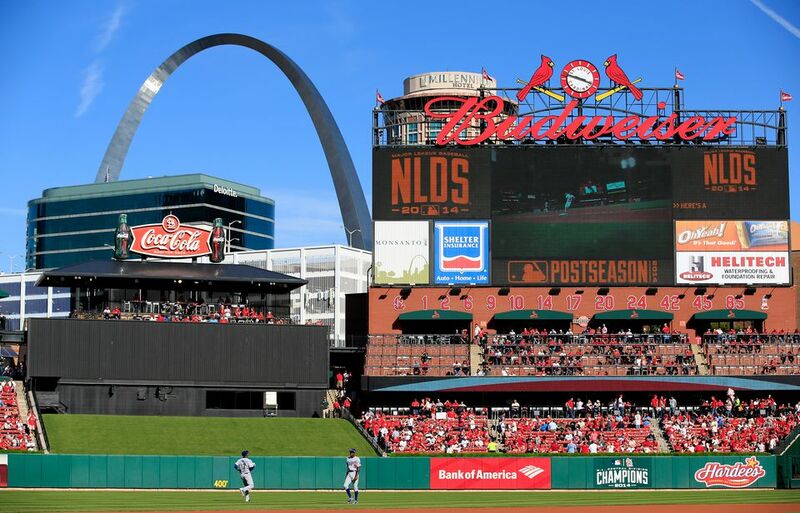 St. Louis is known across the country for being a great sports town. Fans often gather to cheer on the Cardinals, Blues or favorite college teams like SLU, Mizzou and Illinois. When you're looking for a good place to watch a game with other fans, try one of these top sports bars in the St. Louis area. Fox Sports Midwest Live! is the place to be to catch Cardinals games on the big screen. Located in Ballpark Village next to Busch Stadium, the restaurant has a 40 foot LED screen for watching games. The Fox Sports Midwest Live! studio is also the location for the Cardinals pre and post-game broadcasts. Ozzie's Sports Bar at the Lumiere Place Casino in Downtown St. Louis has 55 HD televisions. The restaurant serves pizzas, steaks and other hearty fare. There's also a large beer selection including more than 100 bottled brews. Hot Shots has 12 locations throughout the St. Louis area. Each location has HD plasma and big screen tv's for watching the game. There are also pool tables, dart boards, interactive games, drink specials and a full bar menu. The Post Sports Bar has locations in Maplewood and Creve Coeur. The Post has a welcoming atmosphere for customers with with flat screen televisions all around the restaurant. There's also a full menu and large beer selection. For sports fans who really like beer, check out the scene at the Brewhouse Sports Bar in the Hyatt Regency Hotel in Downtown St. Louis. As you might expect, the Brewhouse has a wide variety of local brews on tap, and an even bigger selection of bottled beers. Plus, there's a full menu of appetizers, soups and sandwiches to enjoy while watching the game. Friendly's Sports Bar in St. Louis has a full menu of casual fare, plus more than 40 flat screen TV's to watch your favorite teams. There's also a large outdoor beer garden with air hockey, washers and other games. O'B. Clarks in Brentwood has been welcoming St. Louis sports fans for more than 30 years. The popular restaurant has 15 new flat panel TVs and two big-screen TVs for watching the action. O'B. Clarks serves pizza, burgers, salads and other casual fare. There's also a patio deck for outside dining. Helen Fitzgerald's is an American sports bar and restaurant with a bit of Irish flavor. There are walls of flat screen HD TVs to watch your favorite team. But there doesn't have to be a game on to have a good time at Helen Fitzgerald's. It has one of the best happy hours in St. Louis weekdays from 2 p.m. to 6 p.m.